Listen to the guiding voices of wisdom. Devon initially sought out yoga as a means to improve her health. Although she was able to complete a BA and an MA in English, her initial plans to teach were thwarted by serious illness. During her graduate studies her experiences inspired her to study mind/body medicine, particularly how it pertained to the use of writing as a tool for healing. Since 2008 she has been teaching weekly yoga classes and running workshops for non-profit organizations and the public school system. 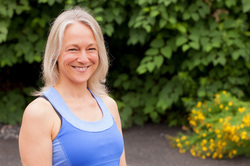 Devon’s classes are alignment based, safety conscious, and sprinkled with gentle vinyasa flow. The goal in every class is to discover and nurture the connection to Self, Spirit and the larger Universe.